Join us this Saturday (which is supposed to be WARM!) 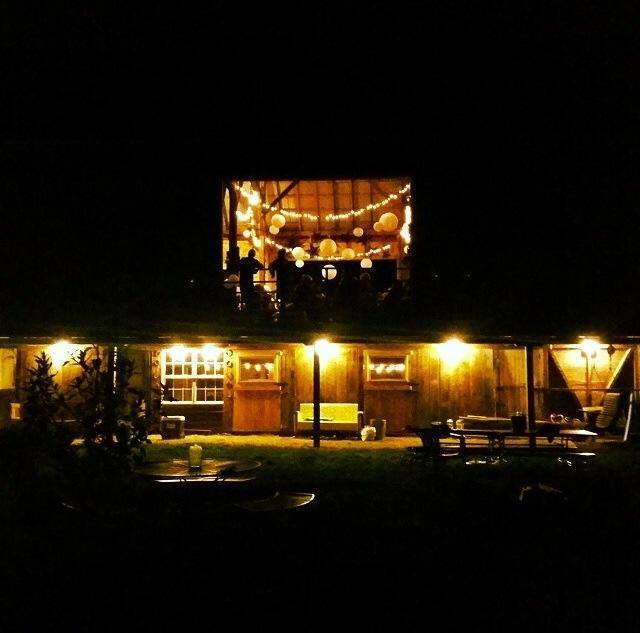 downstairs in our barn for Bluegrass in the Barn! 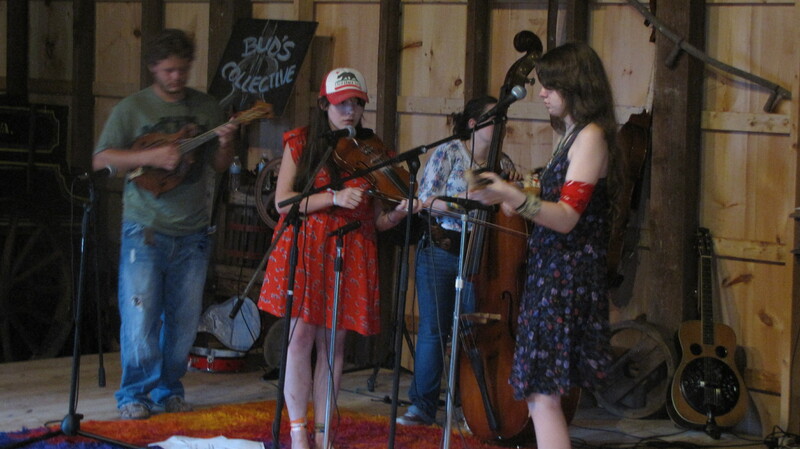 This will mark our THIRD anniversary of Bluegrass in the Barn, which is hard to believe. Thanks so much for all of your continued support; some of you have been coming since the beginning, and we meet new folks every month. Because you all make it out each month, we’re able to keep on going. Show starts at 7:30pm with Low Water Bridge of Front Royal, VA.
Bud’s Collective will take the stage at 8:30ish and play songs off of their new Christmas album, “Naughty List,” along with all your other favorites. Cover for the night of music is $10 at the door; come hungry! We’ll be serving our famous brisket sandwiches and lots of other goodies. We’ll have plenty of seating available, but you are always welcome to see if your chair will fit in. Remember, since it is winter, we have our concerts downstairs and it could get cramped. If you want to be sure you get a seat, try to get there when the doors open at 7! Thanks to all FOUR-HUNDRED of you who joined us for the August Bluegrass in the Barn! We’ve got some changes coming (some great changes) to accommodate our larger crowds, so make sure to join us on September 13th! Click HERE for a short video of the dancing! Lonesome Highway featured at Bluegrass in the Barn THIS SATURDAY! 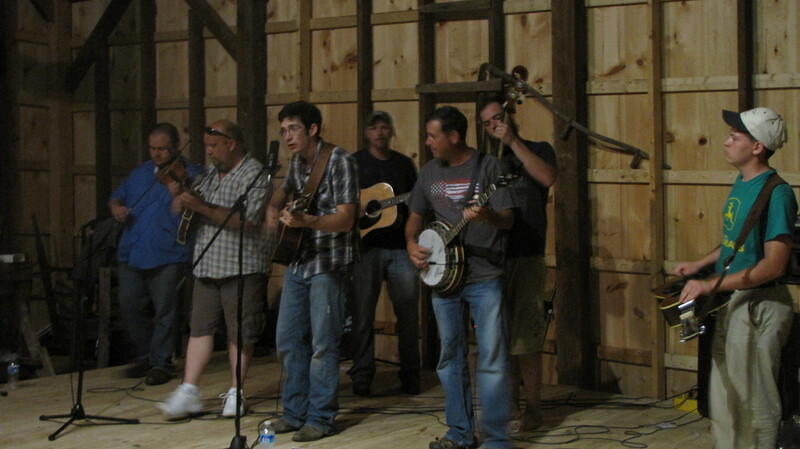 Join us here at Capon Crossing Farm for Bluegrass in the Barn this Saturday, May 17th! Banana Express will kick it off at 7:30pm, followed by Lonesome Highway. Our shows have been getting crowded, so feel free to bring your own lawn chairs. We’ll be selling burgers, calico baked beans, desserts, and soft drinks. Come hungry! This one will be CROWDED so come early to get yourself a good seat! Bud’s Collective in the Winchester Star! Can’t wait to see you there! Let’s kick-off Spring with a fantastic bluegrass party!